Attracting qualified persons to serve on your Board of Directors can be a real challenge, particularly if your company is a startup. Candidates without previous director experience can be uncertain of the legal and financial liability they may face if they agree to serve on a startup’s Board, while experienced directors will expect to see a number of protections in place to minimize or cover their exposure for acts taken as a director. In this article, we discuss steps you can take to protect (and to help attract) prospective directors of your Board. I. Include Indemnification Provisions in your Governing Documents. It is customary for companies to provide for indemnification of their directors in the event that legal claims are made against a director for actions taken while serving on the Board of Directors. In the event of a claim, the company’s indemnification obligation may include payment (or advancement) of legal fees and expenses associated with a director’s legal defense, as well as any damages awarded against the director personally. No matter what form you choose for your entity (corporation, LLC, unincorporated association), include a well-drafted indemnification provision in your governing documents (i.e., the corporate charter, articles of organization, by-laws or operating agreement). These documents should specify the basic indemnification rights of your directors, as well as any indemnity for managers and officers of the entity. Your attorney can provide the indemnification language needed, which may be tailored as required to fit your company’s needs. Corporate and LLC statutes in virtually every state include provisions relating to indemnification rights, including limits on indemnification in certain cases such as fraud or other bad acts. Make sure that your indemnification provisions are in compliance with your state’s law. A word of caution: if your governing documents are later amended, ensure that any rights to indemnification arising prior to the date of the amendment are not affected by the amendment. Your Board should be able to rely on the indemnification rights set forth in the governing documents and should be made aware of any changes, which should be prospective only. Director indemnification agreements are formal contracts that specify those expenses and proceedings for which a director will be paid by the company. The agreement will say when and how the director will receive his or her indemnification, e.g., by reimbursement or by the advancement of funds. Typically, you will have an indemnification agreement with each director, and the agreement should provide for protections that cannot be changed without both parties’ consent. Otherwise, the protections a director thinks he or she has may be lost in a merger, acquisition or if the company changes its indemnification policies before a claim arises against the director. We recommend that the agreement specify that the company has the primary responsibility to protect the directors. This can be important and may avoid conflicts and disputes, particularly where more than one source of potential indemnification is available to a director. 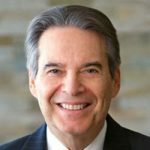 If your company brings on investors, expect at least one investor representative to be named to the Board, and it is virtually certain that each such investor representative will demand an indemnification agreement before being seated on the Board. An indemnification agreement might include certain waivers by the company, including a waiver of contribution rights that the company may have against the director (i.e., the right of the company to recover claim costs and expenses or damages from the director personally); limitations on the company’s ability to settle claims without obtaining a full release on behalf of the director; and compulsory reimbursement of fees and expenses in the event the director is made a witness or required to participate in discovery proceedings. There may also be provisions stating the types of actions for which the director will not be entitled to receive indemnification, typically in cases where a director has acted in bad faith. It is also common for indemnification agreements to set forth what happens if a director is entitled to receive indemnification from more than one source, for example, where other persons or entities have agreed to provide indemnification or where indemnity is available from the company’s own insurance carrier. A sophisticated director candidate will generally drive the contents of the indemnification agreement, but you should nonetheless discuss with your company attorney what to expect and what are reasonable provisions. One sample form of indemnification agreement is available from the National Venture Capital Association on its website at http://www.nvca.org. III. Obtain D & O Coverage. 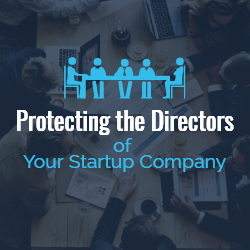 As with most business risks, there are insurance products available to manage the risks inherent in serving as the director of a company, including serving on the Board of a startup. Generally speaking, the purpose of Directors and Officers Insurance, commonly referred to as D & O insurance, is to insure against costs and damages arising out of a claim brought against a director (or a company manager or officer) for wrongdoing. D & O coverage reassures you director candidates that your company’s promise of indemnification is backed up by an insurance policy. Most sophisticated business people will not consider taking a seat on a Board of Directors, or acting as a company executive or officer, without this coverage. Expect any investor representative on the Board to require D & O insurance as a condition of the investment, and to insist that the required insurance coverage be specified in his/her separate indemnification agreement. IV. Protect Director Expense Advancement Rights. Another way to protect your directors is to have a written agreement with each director that prohibits any retroactive elimination of “expense advancement rights,” which entitle a director to recover from the company those costs and expenses that have been advanced by the director personally for the benefit of the company. Particularly in the case of startups, company founders (who typically are directors or managing members of LLCs) often advance monies for the company in the early stages of company activities. Protecting the rights of directors to receive back those monies advanced for the company’s benefit can be important to prospective directors. V. Give the Board Members Guidance. Some of the members of your Board may be serving as directors for the first time and, therefore, they might be unfamiliar with the duties and obligations associated with the position. Take time to educate them, in writing, on the role that directors play in the company, what responsibilities they have as directors and to whom those duties are owed, what protections and benefits they have as directors, and any mandatory company policies that pertain to their service as directors. Have a written Conflicts of Interest Policy and a written Code of Ethics that provide clear guidance to the Board members when carrying out their duties, and that help them to identify and to avoid risky or questionable business practices and situations. Your written Conflicts of Interest Policy should define and give examples of what is and is not a conflict of interest, and it should spell out in detail the procedure to be followed in the event a conflict should arise. Depending on the nature of your business and who your customers will be, your definition of a conflict may be strict or lenient. One size does not fit all, but it is strongly recommended that, regardless of the definition of conflict used, there should be no ambiguity regarding the procedure to be followed in the event of even a suspected conflict. The existence of a possible conflict may or may not prove to be critical to the business, but how the potential conflict is investigated and assessed should invariably be a matter of concern and importance to the directors individually and to the Board generally. If your company deals with government contracts, the detection and prevention of so-called Organizational Conflicts of Interest need to be top of mind for all company personnel and particularly for company officers and members of the Board of Directors. Your company’s Code of Ethics typically will address topics such as honesty, integrity, acceptance of gratuities or material benefits, compliance with OFAC and other laws, and prohibitions against unlawful discrimination, sexual harassment and misconduct, which will apply not only to company personnel but also to directors. It is recommended that you work with your company attorney, a qualified human resources person, or both, to assure that you have a well-written, comprehensive Conflicts of Interest Policy and a Code of Ethics appropriate for your business. The failure to have such policy documents may itself lead to liability exposure for the company and the Board. Providing your directors with properly prepared assurances of indemnification, adequate D & O coverage, protection of director rights to reimbursement for monies advanced on behalf of your startup, and clear guidance relating to director responsibilities and benefits, conflicts of interest and ethical expectations will go a long way toward protecting them from liability while serving on your Board of Directors, and will help to make the task of attracting qualified director candidates to your company less of a challenge. 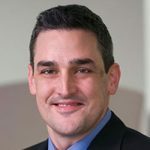 Kevin D’Anna is a principal with Paley Rothman in Bethesda, Maryland. He is a member of the firm’s Corporate, Nonprofits, and Science & Technology practice groups. Kevin advises companies in all stages of development on a wide range of topics, including general operation and governance of for-profit and nonprofit entities, business dispute resolution, IP and technology licensing and transactions, private placements, executive compensation, and structuring and implementing corporate mergers and acquisitions.